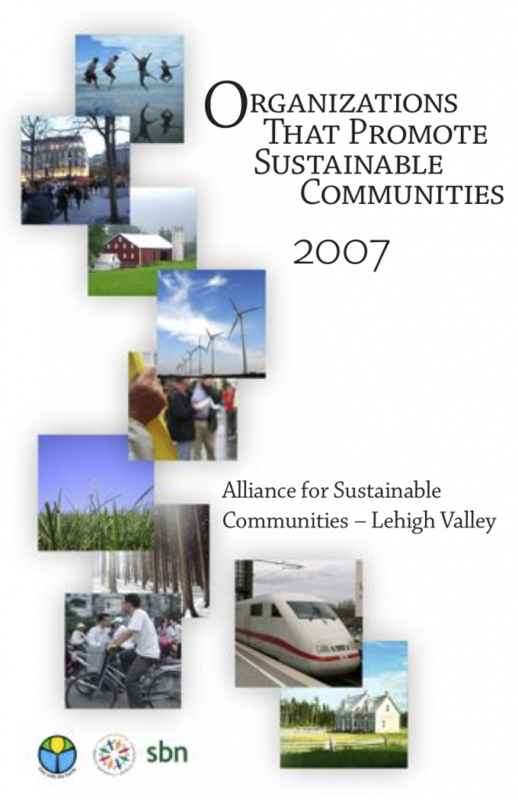 Since 2004, the Alliance has published an annual booklet that includes both a directory of organizations, businesses, and professionals promoting sustainability in the greater Lehigh Valley as well as essays related to sustainability. 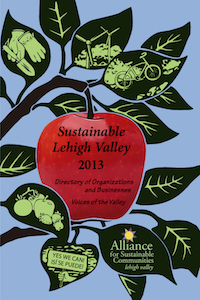 The annual print edition is now called Sustainable Lehigh Valley. 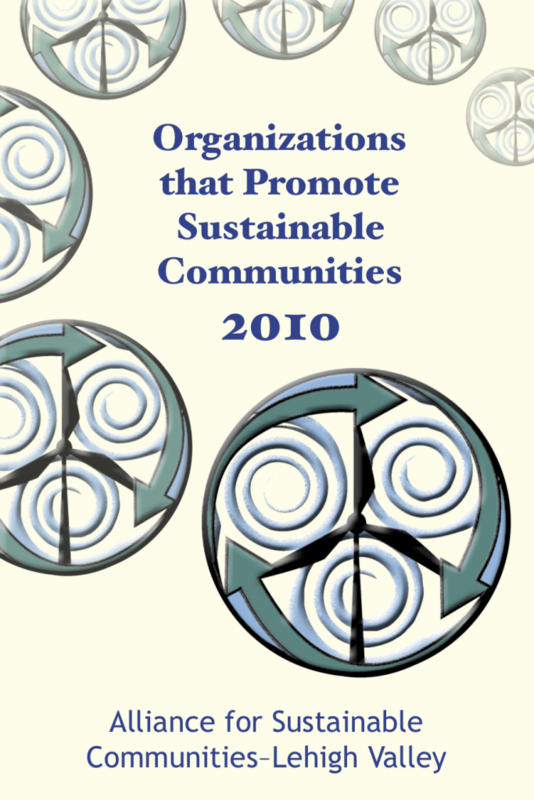 Its directory is available as well online on this website. 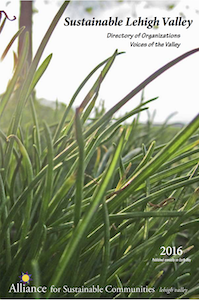 The essays are also available online in a separate section on the Alliance website. 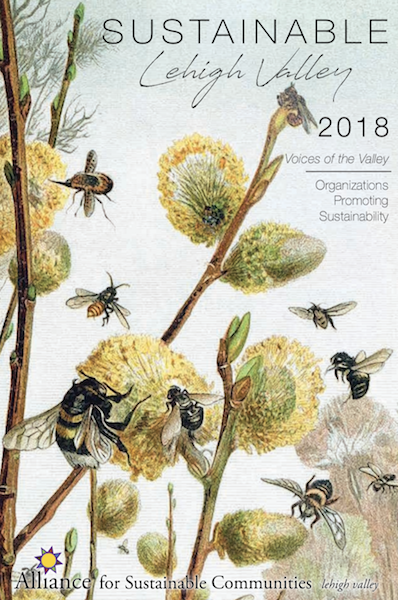 Over the years, we’ve given increased emphasis to these thought-provoking Voices of the Valley essays written by people from throughout the greater Lehigh Valley. Where to pick up a free copy: some of our many pickup locations throughout the Lehigh Valley. 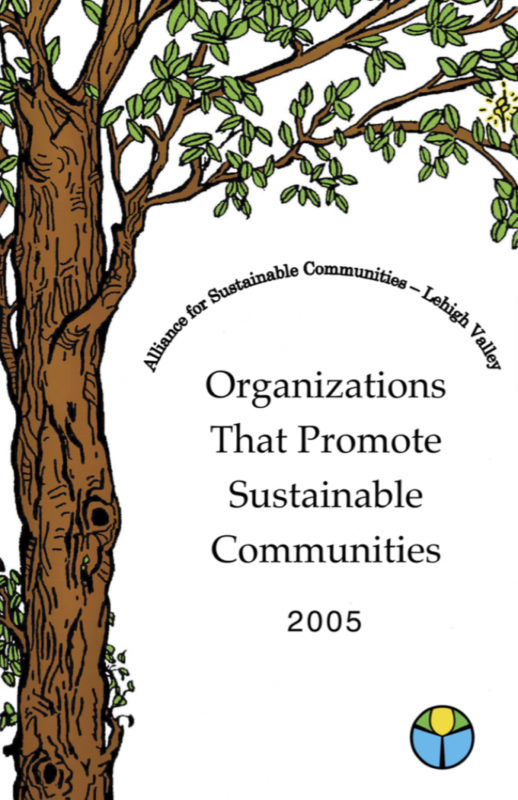 Download the current edition of Sustainable Lehigh Valley in PDF format. 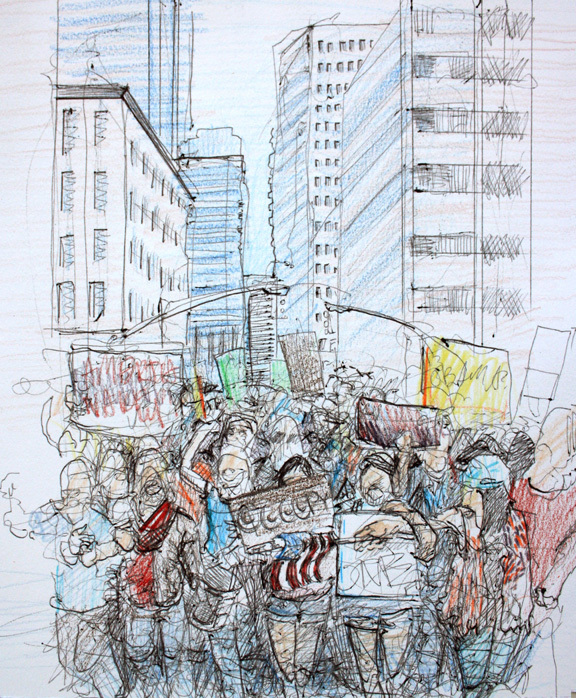 Contribute and essay or artwork! 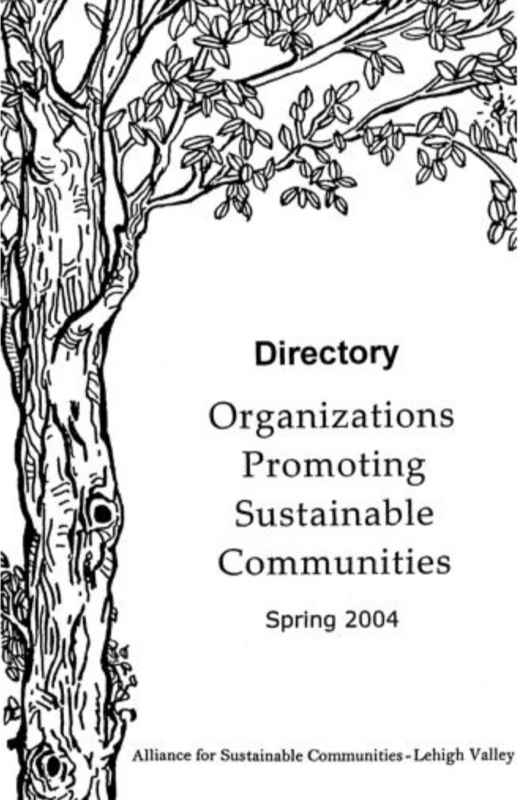 We also provide info about and links to Other Directories you may find helpful. 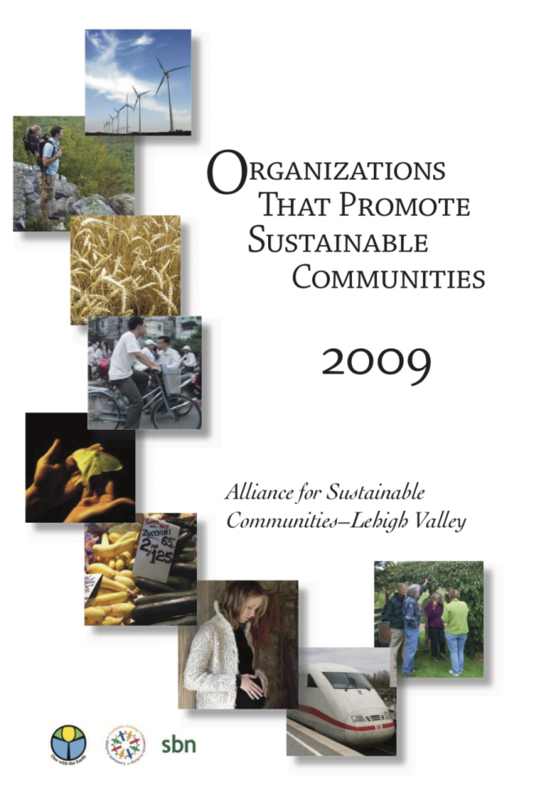 Acknowledgements – The Alliance is grateful to the Directory Team whose time and talents made the 2018 edition of Sustainable Lehigh Valley possible, including Martin Boksenbaum, Peter Crownfield, Sheila Gallagher, Kayla Harper, Cathy Kimock, Suzie Rosse. 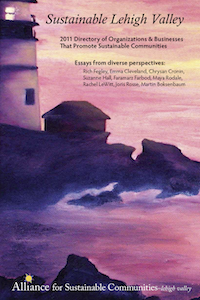 Cover design is by Keri Maxfield, Art Director at Nurture Nature Center. 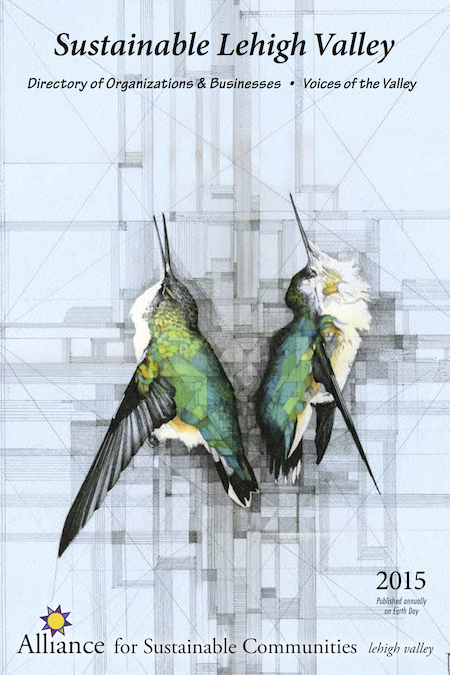 It features a detail of Nurture Nature Center’s “Living Local Mural” by local artist Tom Maxfield. 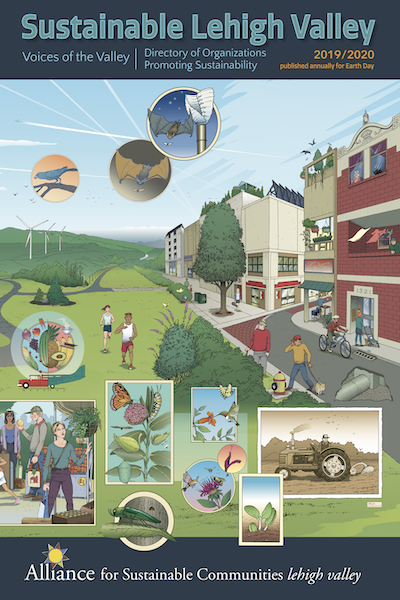 This 5 by 15 foot illustrated mural features over 80 environmental talking points.